If you’re looking for a denture clinic in Etobicoke then you’ve come to the right place! Our friendly staff is here to make your experience a positive one. 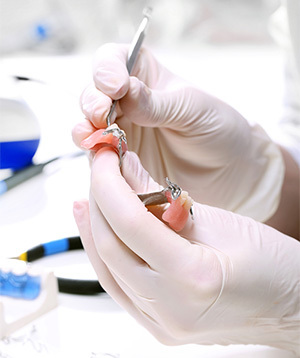 We offer an on site laboratory, convenient hours, payment plans, solutions for loose lower dentures, and home visits. You don’t have to continue living with pain or missing teeth. You can smile with confidence and eat your favourite meals again, free from pain, when we find your denture solution that is perfect for you. As your Etobicoke denture clinic, we are committed to providing the finest denture services so that you walk out with your best smile. Missing all of your teeth or at risk of this happening and are curious about same-day dentures? Ask us about the newest and what is consider the most advanced permanent teeth replacement technology; the All-on-Four technique. Missing only a few teeth? 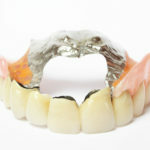 Consider a partial denture. 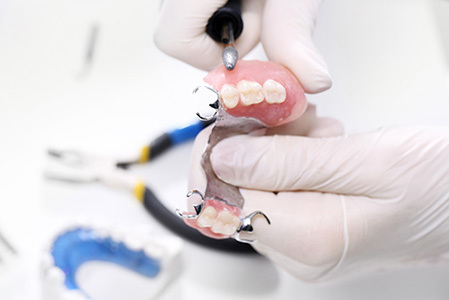 Already have false teeth and are in need of a denture repair? We have a great denture repair guide for you to read. 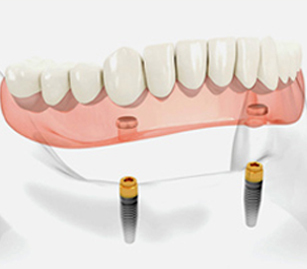 Curious about how we can provide such affordable denture services? 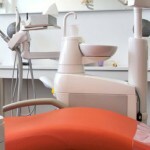 As mentioned, we have an on-site lab to reduce your investment in the smile that you want. Check out some additional benefits here. If you’re still unsure and need some proof, discover what our happy patients have to say! Whatever your unique situation, we’ll be sure to find your solution. First we need to speak with you to learn more about you and how we can help. We look forward to meeting you and giving you the smile that you deserve! Call us at 416-245-7474 and book your free consultation today!